In software development, Travis-web is an open-source hosted, distributed continuous integration service used to build and test projects hosted at GitHub. Travis CI is configured by adding a file named .travis.yml, which is a YAML format text file, to the root directory of the GitHub repository. You are running Ubuntu 14.04 or Linux workstation. Git installed on your server, which you can do by following the How To Install Git with Apt. An account on GitHub, which is a Git repository host. You have to create a valid credential access for https://console.VirtEngine.com. You have to install openssh-server for ssh access. ps aux | grep sshd This initial section contains everything you need to get etherpad-lite running on your server. You will be see the fork option in the top right corner of the git hub page.click the fork option. Click Marketplace on the top bar.Marketplace contains all the linux distros, applications, services and microservices which VirtEngine supports. Click Nodejs Icon.A window will pop up with for SSHkey options. You can create new sshkey, use an existing sshkey or upload your own sshkeys too. Pick a repository by Choose your public repository. 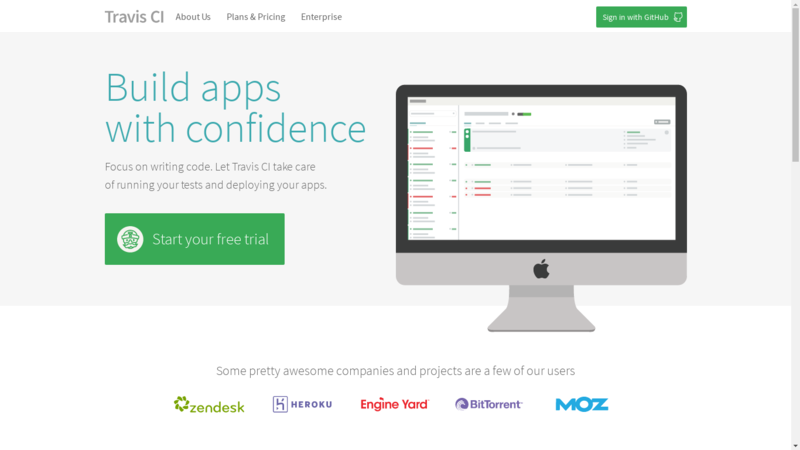 To launch Nodejs App.Click Create. Voila ! Your App is up to date. VirtEngine will look for a start script named `start as follows. These are the very simple steps to launch Nodejs using travis-web. Finally using github repository and launched the travis-web to run successfully. Redis is an open source (BSD licensed), in-memory data structure store, used as database, cache and message broker. It supports data structures such as strings, hashes, lists, sets, sorted sets with range queries, bitmaps, hyperloglogs and geospatial indexes with radius queries. Redis has built-in replication, Lua scripting, LRU eviction, transactions and different levels of on-disk persistence, and provides high availability via Redis Sentinel and automatic partitioning with Redis Cluster. This tutorial will guide you in launching Redis. You have to install openssh-server in your linux machine for ssh access. This initial section contains everything you need to get Redis and running on your server. Go to the Market Places. Select the Redis, A window will pop up with for CPU, storage, RAM and SSHkey options. You can choose the storage size and RAM capacity. You can create a new sshkey, use an existing sshkey or import your own sshkeys too. Click the create button. it will create the virtual machine. Next, Go to the Dashboard and click the domain name a new window is open. It contains the CPU, RAM and NETWORK tab. It shows the Metrics, VM Logs, IP address and SSH URL. Metrics shows the CPU,RAM and NETWORK usage. VM Logs shows all the running process in VM. You need to access the Virtual Machine from a terminal. Successfully launched the vm and login into Redis. These are the very simple steps to launch Redis in virtual machine.This is a good head-start for launching Redis in VirtEngine. AWS OpsWorks PHP is a simple demo app that can help you get started using your favourite PHP language. This tutorial will guide you in launching a php web application (OpsWorks) in VirtEngine. Git installed on your workstation, which you can do by following the How To Install Git with Apt. You have an account on GitHub, which is a Git repository host. This initial section contains everything you need to get OpsWorks PHP Simple Demo App and running on your server. The OpsWorks PHP Simple Demo App repository is forked into your git repository. Click PHP Icon.A window will pop up for your repository selection. Pick a repository by choosing your git repository. You can create new sshkey or use an existing sshkey or upload your own sshkeys too. To launch PHP App.Click Create. We use a PHP build pack using our super cool chef-repo. These are the very simple steps to launch a php web app (OpsWorks PHP Simple Demo App) using github repository. MySQL is the world’s most popular open source database. It runs on virtually all platforms, including Linux, UNIX, and Windows. Although it can be used in a wide range of applications, MySQL is most often associated with web-based applications and online publishing and is an important component of an open source enterprise stack called LAMP. It works very quickly and works well even with large data sets. MySQL uses a standard form of the well-known SQL data language. This tutorial will guide you in launching MySQL. This initial section contains everything you need to get MySQL and running on your server. Select the MySQL, A window will pop up with for CPU, storage, RAM and SSHkey options. Next, Go to the Dashboard and click the domain name a new window will open. successfully launched the vm and login into MySQL. This is a good head-start for launching MySQL in VirtEngine. Etherpad is a really-real time collaborative editor maintained by the Etherpad Community.Etherpad is designed to be easily embeddable and provides a HTTP API that allows your web application to manage pads, users and groups. It is recommended to use the available client implementations in order to interact with this API. This tutorial will guide you in launching a Nodejs web application (etherpad-lite) in VirtEngine. You have to install openssh-server for ssh access in your worstation. This initial section contains everything you need to get etherpad-lite running on your server. Click Nodejs Icon.A window will pop up for your repository selection. ensure that your git repository have the start script file as follows. These are the very simple steps to launch a Nodejs web app (etherpad-lite) using github repository.